We are still a ways from launch, but Niantic Labs, best known for Ingress, gave us our first early look at Pokémon GO this morning. 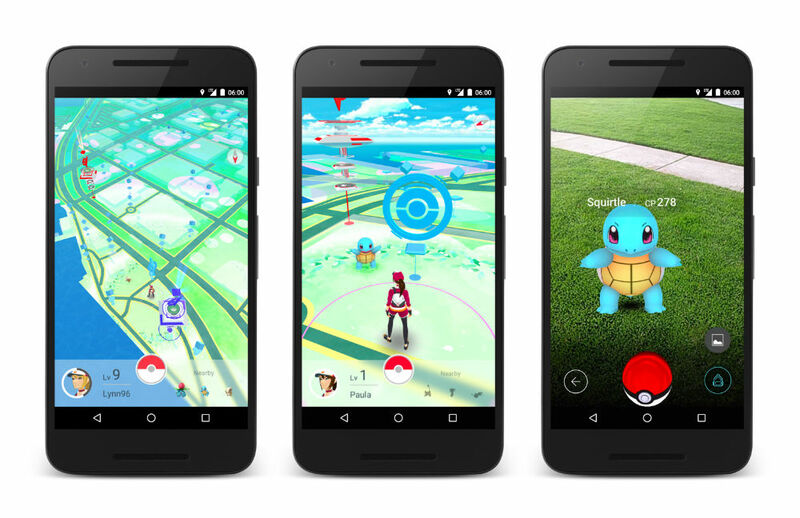 Played the same way Ingress is, which has you walking all over town, Pokémon GO allows players to explore the world around them in search for new Pokémon. To discover your Pokémon, you may need to visit their natural habitats. For example, to collect a water type, you may need to visit your local lake, river, or pond. As you walk around, previously acquired Pokémon eggs will hatch, leading to the potential of new Pokémon in your arsenal. In addition, dedicated PokéStops are where you can acquire Poké Balls and eggs. But, what would a Pokémon game be without battles? In the game, players will be encouraged to join one of three teams in order to compete over the ownership and prestige of Gyms. They will do this by placing their captured Pokémon in a friendly Gym or by battling with an opponent’s Pokémon in another team’s Gym. Gyms, exactly like PokéStops, are also found at real world locations. Niantic states that the first field tests of this game will soon occur in Japan, but gave no word on when we can expect a complete US launch. While Ingress never quite intrigued me, I could see myself strolling around my neighborhood in search of Pokémon. How about you?